The UK and US Navies have successfully demonstrated interoperability between systems for blue force tacking data and intelligence using a semi-autonomous targeting system aboard a ScanEagle unmanned aerial vehicle (UAV). The Airborne Computer Vision System (ACV) aboard the ScanEagle, accurately detected and reported more than twice the number of vessels at sea than human-only operated missions. The demonstration was part of the Unmanned Warrior exercise hosted by the Royal Navy off the west coast of Scotland. The exercise ended on October 20. Lt. Cmdr. Rollie Wicks, a member of the Secretary of the Navy's Naval Innovation Advisory Council (NIAC), said the system will "affect future naval operations significantly." This capability, with its rapid processing of imagery on board, should increase the speed of warfare significantly," Wicks said. "The image is processed in seconds, rather than minutes after collection, and we're generating all the information that is required to target a potential enemy combatant at sea. That's a real game changer for the US Navy." The ScanEagle UAV first deployed with the US Marines in Fallujah, Iraq, in 2003, where it provided air support for ground troops and provided commanders with real-time intelligence. It can also be used for search and rescue operations and threat detection at sea. Scientific collaboration with allied navies is essential in the new frontier of naval autonomy and to enhance war fighting effectiveness. At AUVSI’s Unmanned Systems Defense 2016 event in Washington recently, the new Deputy Assistant Secretary of the US Navy for unmanned systems, Frank Kelley, stated that the Navy wanted unmanned systems to be “the new normal.” The US Navy is looking to leverage unmanned systems to achieve dominance in the air and below the surface of the water. Like many navies it is wrestling with the question of how much autonomy to give these systems. Kelley's office is developing a tactical roadmap for naval unmanned systems, which will involve input from industry. Increasingly, the emphasis is on deploying a system of unmanned systems (UAVs, UUVs and USVs) working together to provide intelligence to aid operations such as mine countermeasures, coastal patrol and surveillance, harbour protection and anti-submarine warfare. Kelley also spoke about the use of swarming unmanned systems at the AUVSI event, to give the Navy the advantage of having a mass of systems available. The Office of Naval Research has developed the concept of Low-Cost UAV Swarming Technology (LOCUST), which is effectively a launcher that fires tubes containing small UAVs into the air. The LOCUST system could be deployed from land or on board a vessel. 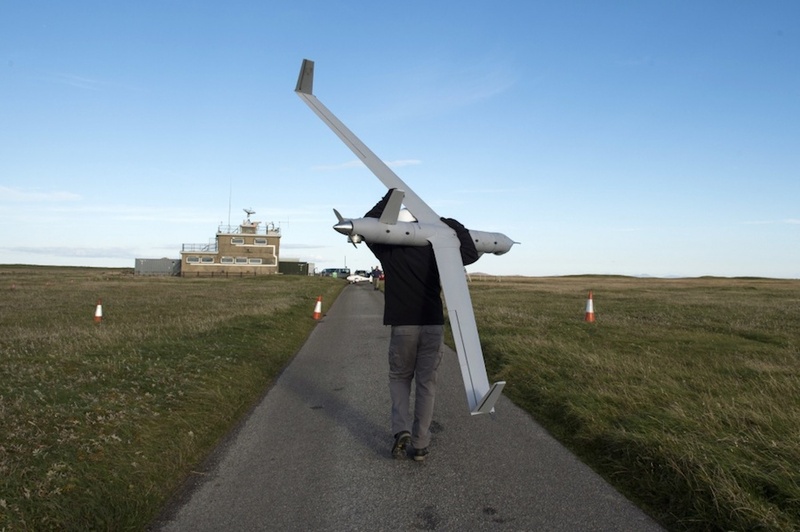 Aside from using ScanEagle in the Gulf and using remotely operated vehicles for mine detection and disposal, the UK Navy has very little real-world experience of operating a wide range of unmanned systems. During Unmanned Warrior, the UK Army's tactical UAV, Watchkeeper, was used for the first time in a maritime situational awareness role. Thales, which manages the Watchkeeper programme, deployed the UAV to spot ships. Visual and radar pictures from the Watchkeeper's maritime radar were fed back to the Royal Navy demonstration HQ vessel, MV Northern River, in the Irish Sea. The US Navy is perhaps the most advanced of the allied navies when it comes to the deployment of unmanned systems. 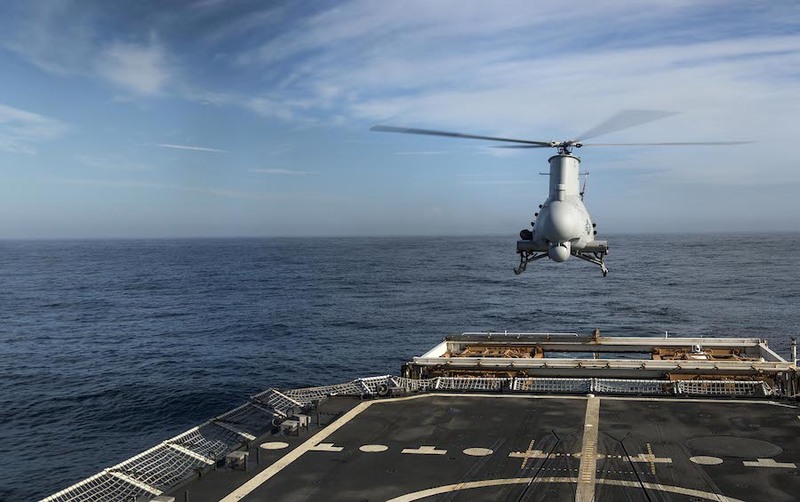 It operates the rotary-wing MQ-8B FireScout as a shipborne UAV. It is also reportedly about to field Northrop Grumman's MQ-4C Triton as a surveillance aircraft, and is believed to be working on the MQ-25A Stingray – a carrier-borne unmanned aerial refueller. The US Marines operate the RQ-7B Shadow for reconnaissance, surveillance, targeting, and battlefield assessment, as well as the small hand-launched remote-controlled RQM-11 Raven and the Insitu RQ-21A Integrator (Blackjack), a small tactical unmanned air system built for the US Navy by Boeing. The US Marines are also testing unmanned cargo delivery using the K-MAX in Afghanistan. In 2011, the Marine Corps conducted the first UAS cargo delivery in a combat zone using the unmanned K-MAX, moving approximately 3,500 pounds of food and supplies to troops at Combat Outpost Payne. While the US Navy is in the process of developing a clear roadmap for the future deployment of unmanned systems, it will be interesting to see how exercises like Unmanned Warrior, shape the Royal Navy's future roadmap for acquiring and deploying unmanned systems. Unmanned Warrior itself will not directly lead to the procurement of more unmanned systems for the Navy, but it should provide it with the operational insights to determine where unmanned systems may best be deployed and integrated within existing operational capabilities. One of the most likely areas for initial deployment of unmanned systems is likely to be in the area of mine detection and disposal. The UK is already working with France on developing a prototype autonomous system for detecting and neutralising sea mines. The UK is also looking at using unmanned systems for anti-submarine warfare. At Euronaval in Paris last week, Thales demonstrated its Autonomous Underwater & Surface System (AUSS) system which can operate both above and below the surface of the water and perform multiple missions (ASW, ISR, mine warfare) The AUSS has an endurance of two weeks at 50 nautical miles.